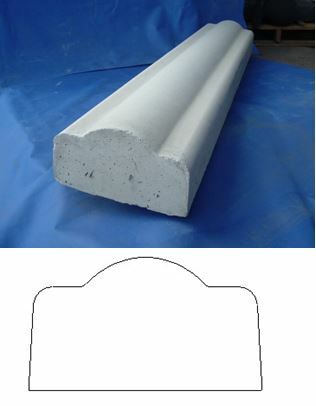 Precast concrete wall caps (or coping) can be placed on any wall to add protection and beauty. 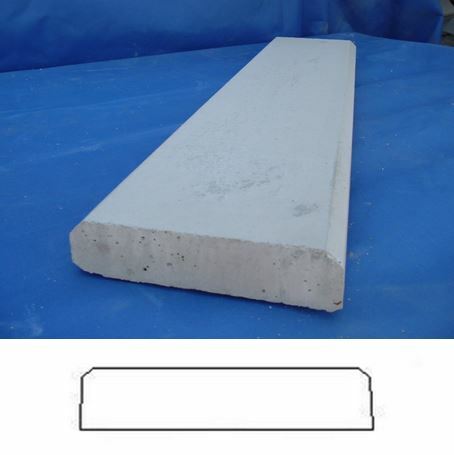 Four types of coping are available: ridged, flat, round and tiered. Corner and end pieces are also available in most sizes. 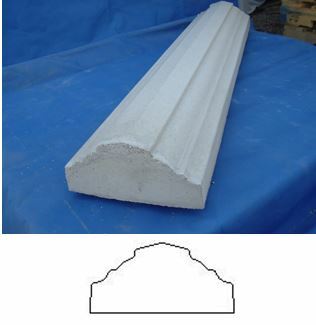 When deciding what size of wall cap to use, calculate the width measurement by measuring the width of the wall and adding at least 3/4" on each side for overhang. An overhang will allow the water to drip off of the edge and protect the wall beneath. 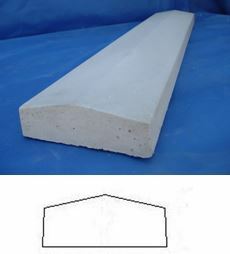 For example, an 8" wall would need at least a 9 5/8" wide coping.